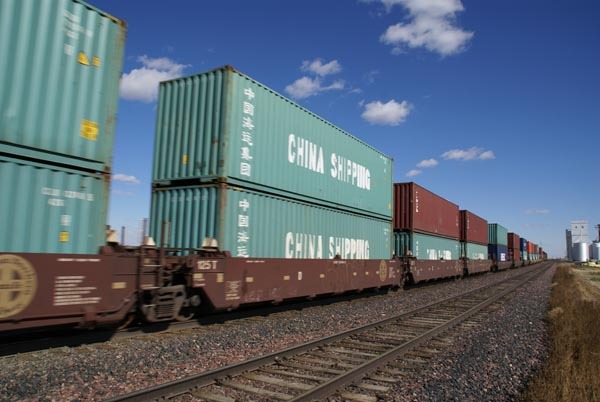 Photograph of a Double Stack Container Train in the USA. Containerization is a system of intermodal freight transport using standard ISO containers that can be loaded and sealed intact onto railroad cars. VIEW: More images from the category Double Stack Container Train or taken at the same location or around the same time .